Mt. 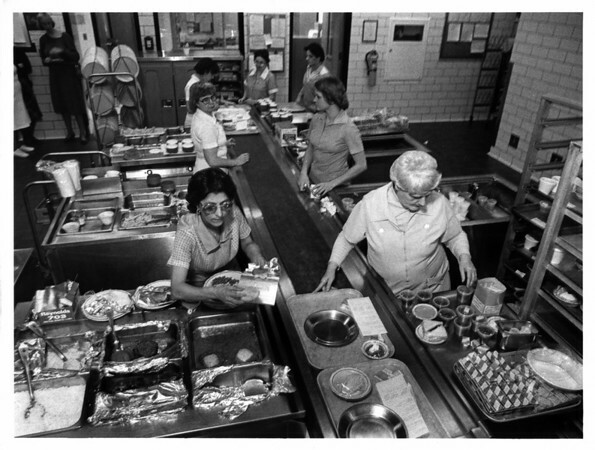 St. Mary's Hospital on the food line making up the different tays are (from left to right) - Frances Cordani and Gertrude Rodgers both Dietary Aids. Photo - By Ron Schifferle - 1/5/1983.